Here’s a quick history lesson for those too young to remember or who reside elsewhere. During the seventies, there were only three analogue, terrestrial television stations available in the UK. BBC One, BBC Two and ITV. Actually, ITV at the time was a network of separate regional commercial television channels. Television stations usually only broadcast for 16 or so hours a day and home video recorders only started to become common place towards the end of the decade. Therefore, as a ten-year-old in 1977, if I wanted to watch something, I had to be physically present to do so. Furthermore, as there was at that time only one television set in the home and I was a child, my viewing was pretty much at my parent’s pleasure and discretion. “Viewing rights” were often used as a bargaining chip. But there were some positive sides to viewing TV in this fashion. Popular programs enjoyed viewing figures unheard of today. And television was a far more shared experience than it is now. Saturday evening’s episode of Doctor Who was naturally a major topic of discussion at school the following Monday. If you missed it or any other “essential viewing, you were effectively a social outcast. Contemporary viewing habits have changed radically in the last forty years. We may all still watch popular shows, but we often do it in different ways because there is no longer just one single path of access. There are still viewers that like to watch a show as it is broadcast. Other will record and watch later using some form of PVR. Then of course there is VOD and other streaming services. And to complicate things further the market is fragmented, and a lot of content is specific to a platform or outlet. 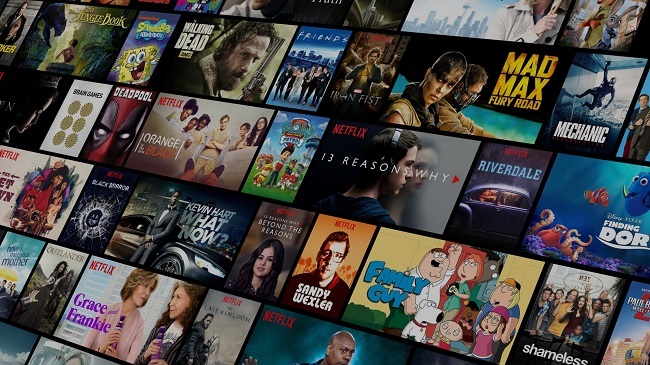 If you do not have access to particular channel that is showing the latest episodes of your favourite show, then you may have to wait a year or more for older seasons to be syndicated to a station you do have. But this doesn’t always happen nowadays especially with shows that have been created specifically for streaming services such as Amazon Prime and Netflix. In such circumstances if you wish to see Stranger Things and are not a Netflix subscriber, then your only recourse is to purchase a boxset on DVD or Blur-ray. However, due to licensing issues, some of these shows do not get released on home media. Despite living in a time where there is a wealth of quality television to watch, the way much of it is tied to specific platforms and outlets, means that if you wish to legally view a dozen or so of the most popular show, you have to subscribe to multiple services. For example, currently in the UK if you want to watch Game of Thrones, The Haunting of Hill House, Jack Ryan and Star Trek: Discovery then you’ll need to subscribe to either a satellite, cable or IPTV service such a Sky, Virgin of BT TV as well as Amazon Prime and Netflix. That’s a monthly spend of about £65 or so. Considering the current economic climate in the UK, that is not a sum of money that every household can or wishes to pay. Hence people will either simply opt for what they can afford or result to piracy. The latter is a big subject and not one I intend to address in this post. And so there exists a situation where if you only have access to free-to-air, terrestrial television via either a rooftop aerial or Freesat, you are going to have limited or no access to what may be deemed as premium content. In fact, I have seen the phrase “TV Poverty” used in this context, on a television marketing website. Returning briefly to my reminiscences from the seventies, rightly or wrongly, socio-economic distinctions were often made here in the UK, according to which TV channels you watched and what were your favourite shows. Nowadays, I’d say that perhaps what platforms you have access to would be a more contemporary indicator. I’m certainly not going to suggest that having limited access to specific TV content is an impediment or social handicap in some way, but it does reflect a growing societal divide. However, in the UK if you only have access to terrestrial TV, then at least that includes BBC content, which is still of a very high standard, despite what some quarters may say. 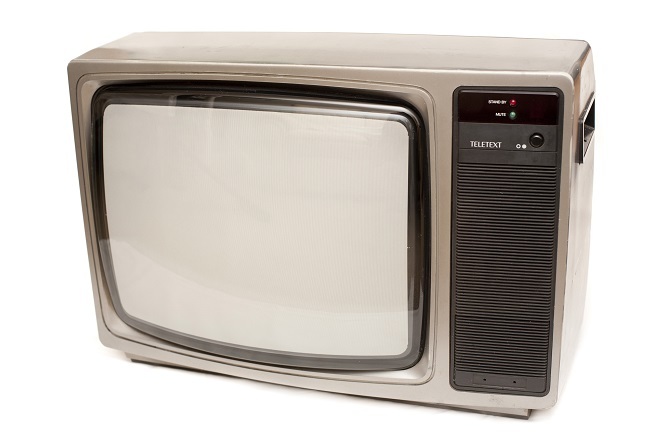 Yet, while recently visiting a family member in hospital, I spent some time waiting in “The Family Room” which had a bog-standard LCD TV with a simple aerial connection. It was a reminder that much of the free content is old and presented in the poorest of fashions. IE numerous onscreen graphics, material shown in the wrong aspect ratio and of course twelve to eighteen minutes of advertisements in each hour of content. It is does not make for an enjoyable viewing experience. Although the phrase “TV Poverty” does seem somewhat hyperbolic, it does indicate that there are clear and legitimate economic distinctions in the industry. Furthermore, I suspect they’ll become more prevalent in the years ahead.